The KidneyBuzz (www.kidneybuzz.com) website posted a great piece on the issue of hidden sources of Grapefruit. 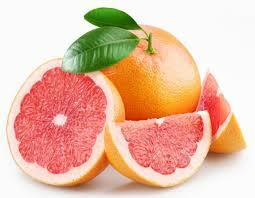 Grapefruit, as you might or might not know, can be detrimental for dialysis patients. Here’s the article for your reading pleasure. However, in each case we should refer to our dietitian to assure we’re doing this right. There is a simple solution to this problem, switch too drinking only water! Many people get 1/2 their calories from drinks, that is crazy. Protein drinks are fine, as long as they contain high amounts of protein and low amounts of potassium. I am 54 years old and in great shape except my kidneys were damaged by excessive amounts of antibiotics. I stepped on a sea urchin getting out of the water in Belize. That cost me a toe and a small part of my right foot. In order to save my life the Dr’s had to give me massive amounts of antibiotics to save my life. It took 4 different picc lines 5 years and 2 / 12 week treatments (5 days a week 1.5 hours in the cofffin each time) in the hyperbaric chamber to finally fix what 1 little critter did to me. That put me in stage 3 CKD. I stayed at that level for 12 years. I have been diabetic for 15 years, my A1c is 5.2 and have been doing hemodialysis for a few months now. First went to the hospital because blood pressure shot up. Found out I had acute renal failure. I had a AV fistula put in my right are in the crease of my elbow and after 1.5 weeks in the hospital I went home. Was home for 18 hours, my lady that takes care of my house came to see me and found me in bed covered in blood. The fistula broke open and I nearly bled to death. Went by ambulance to the hospital with internal temp of 94.1 degrees and needed 3.5 pints of blood to get me stable again. Stayed in hospital another 10 days, because to rehydrate me they gave me saline which filled my lungs with water. Don’t give saline to someone with kidney failure, bad idea. At this point I had been 17 days in the hospital, then I went home for 4 days. No body informed me that dialysis changes how your body processes insulin. Once again my lady came over to check on me and found me in a diabetic coma. Blood sugar 19, body temp 94.3 degrees. Another ambulance ride and 10 days in the hospital, due to perm cath infection. I have had my fill of hospitals, Drs, nurses, techs, etc…. I always treat them nice and they always treat me well, I just switched to PD to get away from the clinical aspect of CKD. Now I can swim everyday, do the steam room and infarred sauna. I drink as much as I want because I sweet out massive amounts of sodium, potassium, phosphorus and other waste products. Seem DRs have forgotten about the skin being the largest organ of the human body and the 3rd best one for removing waste products. Liver filters most, then kidneys ,then your skin. If you take the pressure off of your kidneys they will last longer (residual function). Good luck to everyone, God has certainly blessed me I should have died twice. Saw the light and was floating above the medical team both times, very peaceful, nothing to be afraid of.